“It’s the ‘hardy perennial’ of shoe fashions… ever smart…ever now!,” claimed a 1930s description for brown and white saddle shoes. If there ever was a 21st century shoe that was always in style it was the saddle shoe. Developed in the 1900s it took 50 years to reach movie star status in the 1950s but it was a wardrobe staple, experiencing only slight changes over half a century. It is an icon of vintage style today. Let us explore how saddle shoes evolved over the years. 1922 white canvas with black leather saddle strap and heel back stay. Notice the square toes too. My usual fashion history sleuthing came up empty as to the origins of the saddle shoe design. What we do know is that it was initially a sport shoe designed for men. Golfers, in particular, picked up on the two tone color scheme and incorporated it with their uniforms starting around 1910 and lasting well beyond the ’20s and ’30s. Men quickly diversified the two tone combination into wingtips oxfords and loafers. They replaced the simple saddle pattern with a swirl of two tone colors. Concerned about dirty shoes, they also replaced white with an off white color. Women, however, enjoyed the simplicity of the saddle design and embraced it much more than men. As with all things sporty in the 1920’s women were quick to take the men’s saddle shoe and wear it for themselves. They liked the pure white contrast with black leather saddle. Pure white soles were a must too. They required frequent cleaning and whiting of the white canvas material. Heels remained very low to keep with the ease of walking, running, or hiking. Girls often wore them in gymnasium classes. The majority of clothing catalogs at the time targeted saddle shoes to women and girls equally. A more lady like Cuban heel was added to some women’s oxfords to marry the common walking shoe with the casualness of the sporty saddle pattern. They were worn with sporty knits, house dresses and men’s style knickers in the 1920’s. 1922 Saddle Oxfords with Cuban heel, canvas body, rubber saddle, black laces. The trend for canvas continued into the depression era. Other materials were cheapened to keep them affordable. Leather or rubber saddles were replaced by dark fabric- whatever scraps the factory could acquire for cheap. Crepe rubber was the “new” style of sole to have since it was durable, non slip, shock absorbing and less costly to make. We start to see some contrast white stitching and white laces in the 1930’s. Depression or not, women still wanted to look fashion forward! 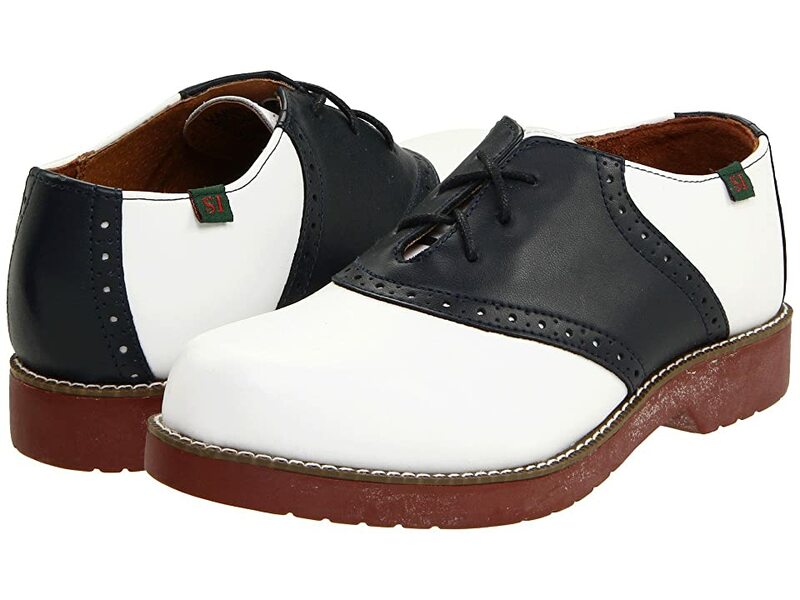 Blue and White or brown and white duck cloth saddle shoes with natural rubber heels. 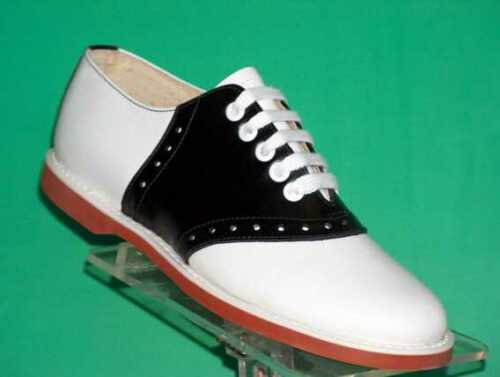 The mid 1930’s also saw the first pair of shoes to leave the brown and white or black and white color combination. 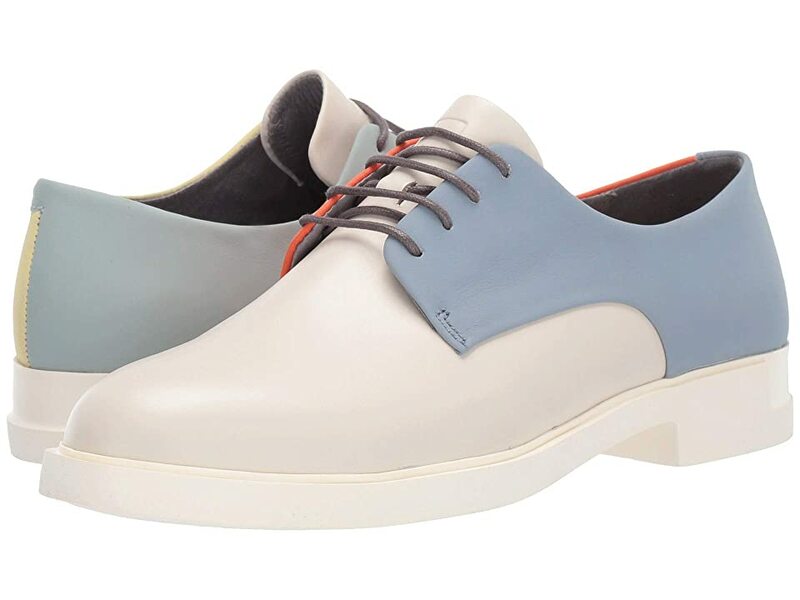 Blue and white canvas saddle shoes became the new trendy shoes to wear. Lighter shades of brown also made them more feminine and complimentary to lighter summer fabrics. Soles were usually a natural rubber color that looked best with lighter colors too. 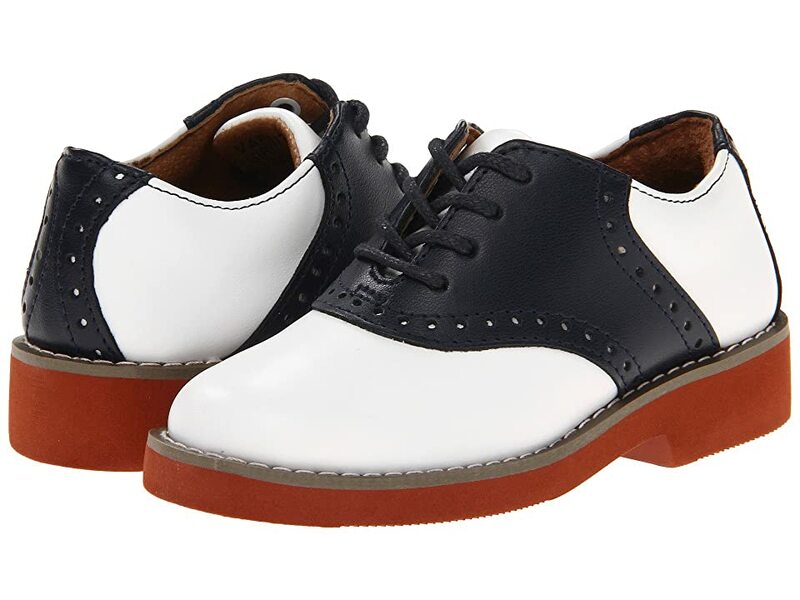 Only the oxford style with taller heel used leather soles instead of rubber. Saddles shoes were still mostly a summer time shoe, especially when made of canvas. 1937- Leather returns with black or brown saddle straps, white or black soles, and wedge or stacked heels. 1937 Men’s saddle shoes with crepe soles in brown/brown or black/black. 1938s Rubber sole saddle shoes. Brown and white with brown laces. By the end of the 1930’s the depression lessened and factories returned to making leather saddle shoes. Men could now afford leisure shoes again and more saddle shoe designs were available for men. Steering away from the color combination that women were wearing, men’s shoes now came in dark on dark tones. Tan on dark brown, black on black, blue on black, and black on grey were just some of the new options. The 1940’s was when saddle shoes really came into pop culture. Men were wearing two tone shoes with business attire and women with afternoon dresses and even suits. They were no longer a sport only look. But it was the female teenager that adopted the saddle shoe as her exclusive shoe. Having worn them as girls, young teens still found them to be a style that was more youthful than most women’s shoes such as the wedge or peep toe. See if you can spot the dirt in the following photos of teens in the 40’s. Modeling summer fashion with shorty shorts and saddle shoes. 1942 Women and Girls Saddle Shoes, Black and white black soles, and white laces. 1949 teens all wearing saddle shoes and bobby socks. 1951 saddle shoes with red soles, white stitching, white laces. Comes in black, red, or green. Teens in the 40’s started the trend for saddle shoes and bobby socks. 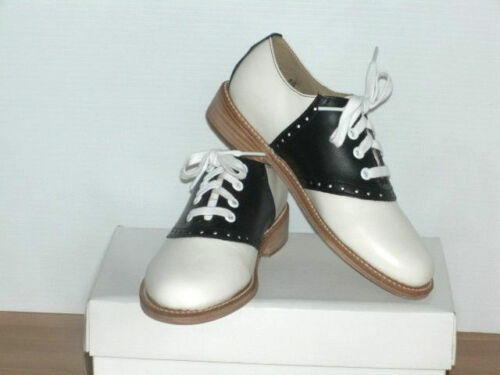 They were nearly always black and white saddle shoes with either natural or black rubber soles. The dirty shoes trend ended and the latest craze was for red rubber soles and spotless “just like new” saddle shoes. Girls would spend an hour everyday cleaning and polishing shoes to perfection. Bobby socks had to be folded down just right, in perfect symmetry with each other. Housewives also loved saddle shoes. Comfortable to wear around the house yet too informal to be “proper,” housewives quickly changed into heels before their husbands came home. It was a secret ritual women performed daily yet their husbands never knew about it. 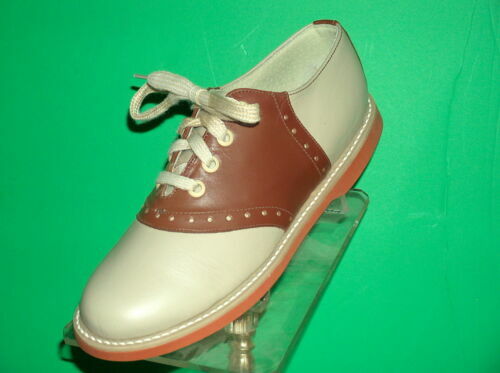 1952 Men’s Saddle shoes (R),brown and white, white laces, brown and black soles. 1955 white sole, black sole trim, elk leather saddles shoes. Also in white/brown. As the 1950s moved on so did the evolution of the saddle shoe. Just like in the ’20s and ’30s which put the saddle strap onto walking oxfords the 50’s put the saddle strap onto flats, loafers, and pumps. The saddle strap was everywhere in every color and every material. Suede shoes? Check. Patent leather? Check. Pink, green, red ? Check, check, check. The saddle shoe became the iconic style of the 1950’s. How could they not be when every man, woman, and child was wearing them! 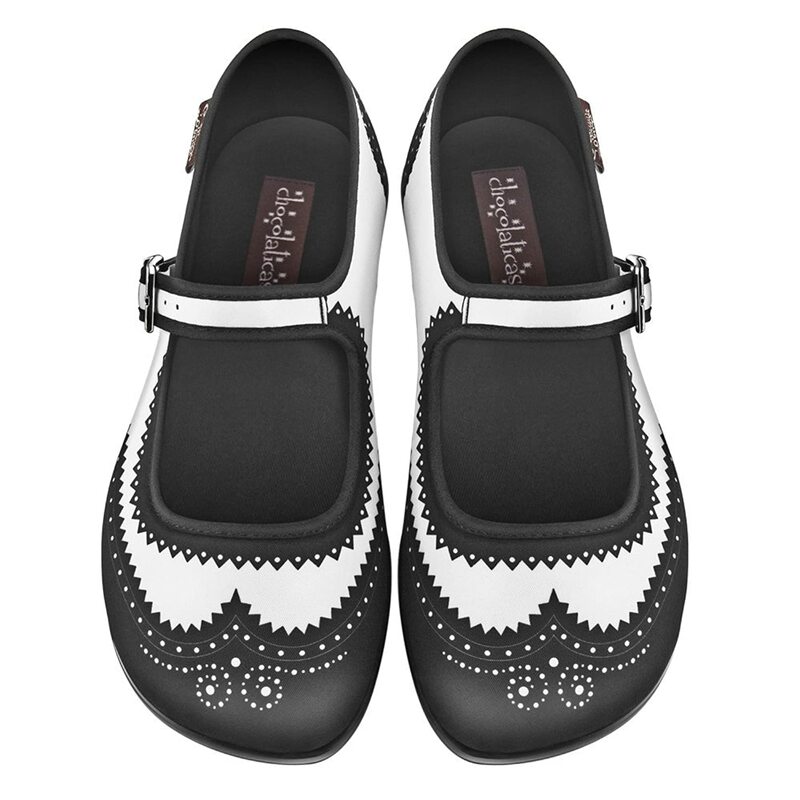 Audrey Hepburn inspired black “flatties” and now in new saddle and loafer flatties. 1957 Bubble saddle shoes with back buckle, black soles, black laces. Also in grey and black and all black styles. In the mid 1950s the “Bubble” saddle oxford became common for a few years. It was a slimmed down version of the chunkier saddle oxford and often had a buckle across the back of the heel. The soles were also thinner and heels low. It was a lighter, more fashionable, version adopted by students. It was often called “Ivy League” or “Ivy Style” for its popularity with college students. You would think that after such a pop culture explosion of the saddle shoe in the 1950s the style would be outdated by the 1960s. Not quite. Girls, boys and young teens continued to wear the shoes as their daily uniform. Many schools actually made saddle shoes part of the dress code well into the 1990s. Black soles were replace by white soles in the early ’60s and the black on black saddle became the newer trendier school style. The 1960s was the last decade that adults were seen wearing the shoes. Why the sudden change? It had a lot to do with the rebellion against old school values and styles. The mod generation embraced two tone color blocking into fashion but not the saddle shoe. By now it was too old, had too much history, and was too child like for a grown up generation. Sad, but all good things must come to end… at least until the next revival. 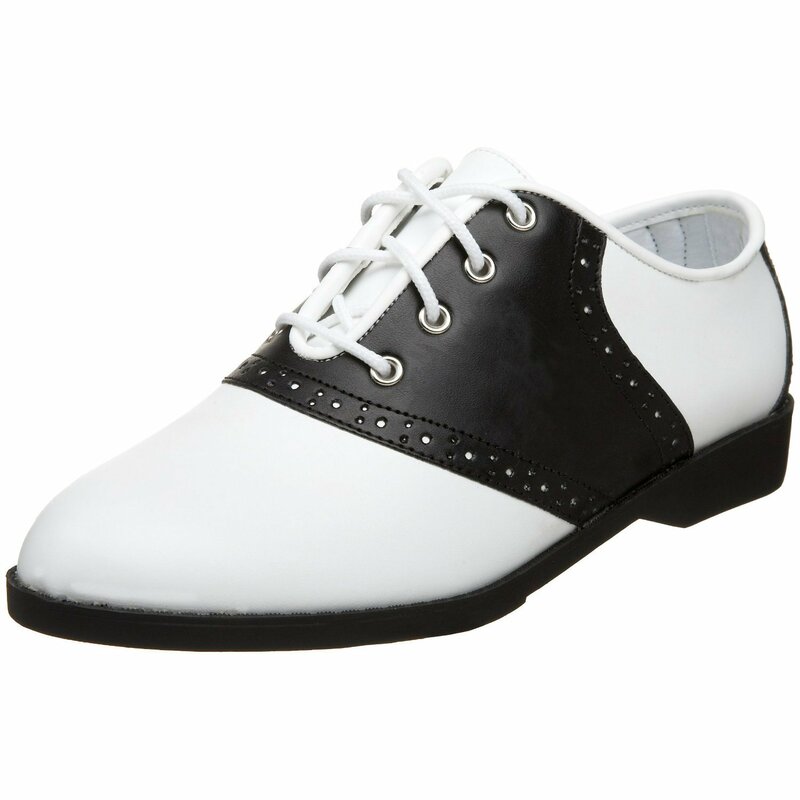 1961 white sole saddle shoes (r), black with white piping (m) and low profile flats with a hint of the saddle shoe design. 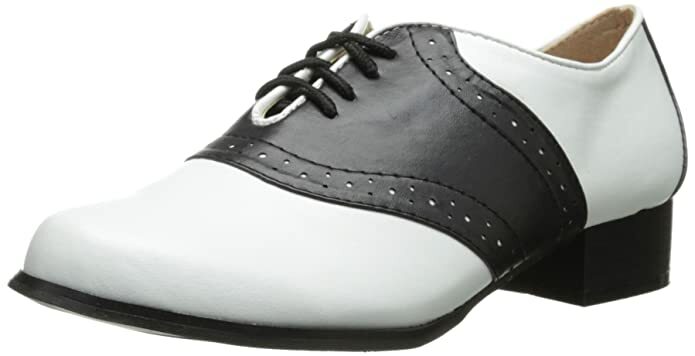 Saddle Shoes shop page– Women’s and Men’s saddle shoes from multiple shoe retailers online. Most big brand names like GH Bass (affordable men’s and women’s leather saddles), Allen Edmond’s (higher quality men’s), Johnston and Murphy (very good men’s shoes), and others. They come in all different color combination, sole colors, lace colors and stitching details. 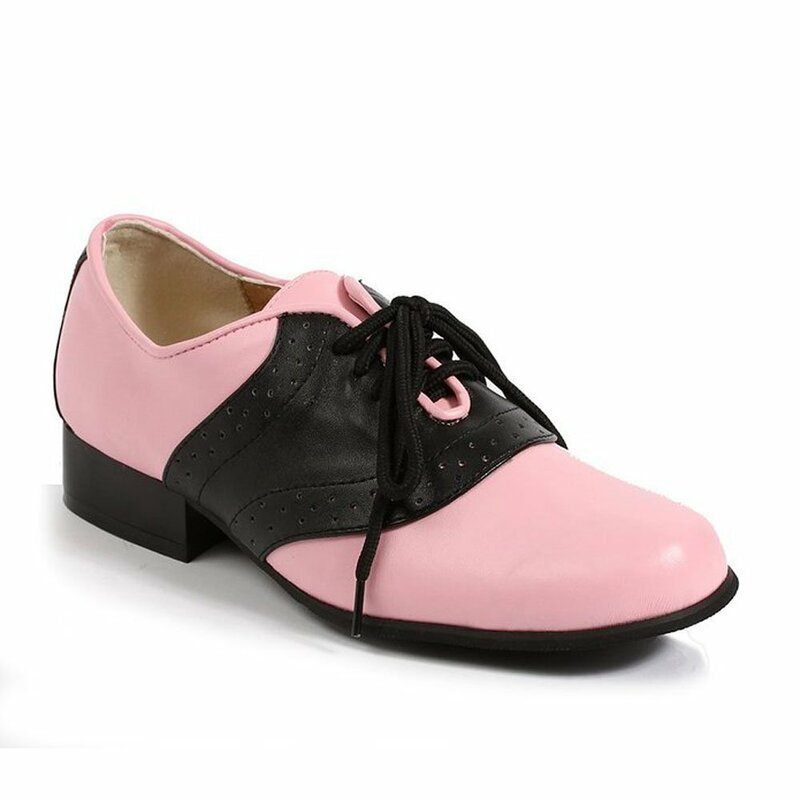 As you can see by the above history saddle shoes come in a diverse selection so nearly any current saddle style will be similar to saddle shoes of the past. Royal Vintage Shoes- A new line of fabulous reproduction saddle shoes in black, blue or brown patterns with a red-brown sole. High-quality shoes for women only. 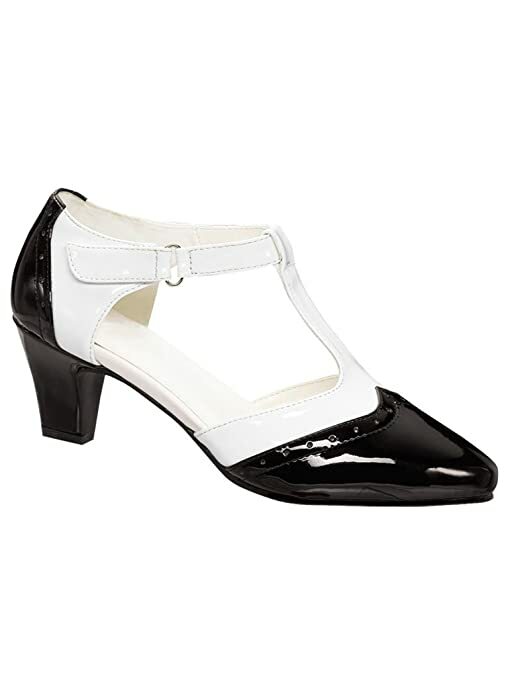 GH Bass saddle shoes- For women, the “Noah” saddles shoes are an excellent quality shoe. Unfortunately, the men’s have been discontinued in the black/white pattern. Orvis– For men, Orvis has classic brown and white saddle shoes. 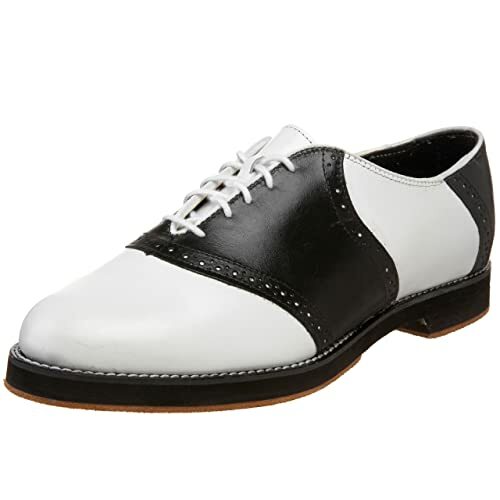 I am still on the hunt for high-quality men’s black and white shoes. 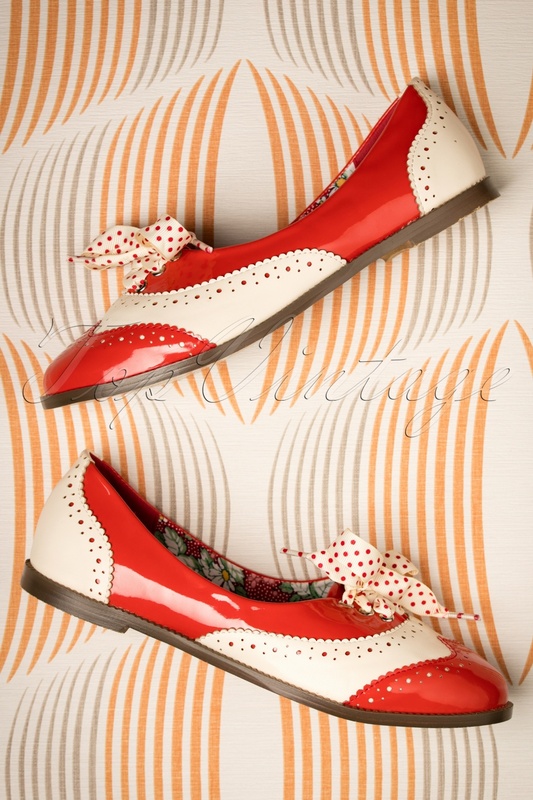 Muffy’s – Red sole 1950s saddle shoes are difficult to find but Muffy’s has them. VERY nice shoes. Many other 50s styles too. The website is outdated and not always working. Call or look at their eBay store. RemixVintage– Another source for classic 50′ saddle shoes. Look at the ebay store first for good deals on discounted shoes. So glad I found this sight. Been racking my brains trying to remember what we called saddles. In my memory no one really wore them in San Antonio and if they did they were clunky, stiff and hard leather. They came out in the late sixties, supple leather and rubber soles. Really jazzy. We called them rah rahs. They were the in shoe to wear at the University of Texas among sorority and fraternity members. Later in the 70’s and 80’s women wore spectator heels patterned like a saddle oxford. Loved them. We wore these black and white saddles somewhere between the years 1972 to 1976. They did become fad again. Interesting history. Thanks! Several years ago I tried to find out where the saddle shoes originated. Spalding created the first one as a men’s first athletic shoe. Before that there were white shoes that had a narrow band of a different color leather that ran across the shoe where the bottom of saddle is now. I’m in my early 40s and I have pictures of myself wearing these shoes as a toddler in the mid-late ’70s. Maybe in rural central PA those shoes were still in style on little kids. I looked back on those pictures as an older kid thinking the shoes were so ugly but now I think they are cute and hope the come back in style. I couldn’t believe it when I read Wyvonne Burkett’s post from June 21, 2015. Unfortunately, her link to reply failed. I too have been looking for the same square toe oxfords from the 70’s; even seeing a picture would be nice. I still remember the day my mom finally drove me to, I believe Shoe City at the time. They were made by Rah-Rah I recall. I remember wishing I could have 2 pair, I loved them that much. I remember not even liking the popular more expensive round toe styles. Once I saw one of my school mates wearing a pair of the squared toe style, I had to have my own. They were different and looked so cool to me. I wore them as long as they lasted. Till this day I still like a very square toe. Funny how we remember and long for special things and experiences from our past, like the best pizza ever when I was in college at Alabama in the seventies. Haven’t tasted another as good sense. I wore B&W Spaldings in college during the late ’50’s. It was an all male Ivy League school with mostly prep school guys. Probably half had a pair. I still wear mine, having bought some on e-bay over the years. Lots of nice comments from those who see me in them. I went to a private high school in the early to mid-2000s. It was founded in the height of saddle shoe fashion, so naturally the school uniform included saddle shoes. My school orientation packet included a list of local places to buy real, old fashioned black andwhite leather saddle shoes with the red sole (not sure if the red sole was required, but it’s what everyone had). They were not cheap to buy, but they lasted me the entire 4 years of me wearing them to school every day with my knee socks, plaid skirt, and blouse. A friend of mine still wears hers occasionally, and they just started to really fall apart. They were torture to wear for about the first month, and then after that they were perfectly formed to your foot and really comfortable. It would be interesting to see if the merchants of places to buy saddle shoes were still in operation. I am always on the lookout for more sources. Thanks for sharing your memory. hi, like the site. but do you have any info. on the dress code of the 1990’s. would love to read. I stop my research at 1960s. I did live through the 90s so if you need perspective I have some. When I was in elementary school in the 60’s I hated them. Couldn’t get them to wear out. But in the early to mid 70’s they came out in a square toe & I loved them. I’m 57 years old & I have searched far & wide for a pair like that. I would probably buy a couple pair if I could find them. I have a thing about shoes. I currently have 60 pair of shoes & some of them quirky. All shapes, sizes & colors. So if anyone out there find any let me know. Thank you. 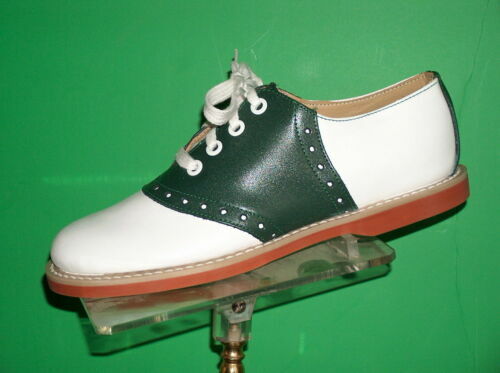 Does anyone remember the bubble saddle shoes with the snap closure and the back buckle? I had a pair and loved them (back in the 50’s). I remember the Bubble Saddles. I believe if the buckle was fastened, you were going steady. I don’t remember boys wearing them. Do yhou? I had a pair in the late 50’s Black& White with a buckle in the back but the boys shoes also had a Black back stay. I had a pair . I remember if the buckle was closed you were going steady. If it was open, you were available. Very nice write up. I think saddle shoes are undergoing a revival judging by the number for sale on eBay. They have been around for over a hundred years since Spalding created them as a tennis shoe for men in 1906. This is the first time I’ve seen the “Soap and Water” Saddle shoes with the red rubber sole like I had in the mid-50’s. I recall (but so far no one else has the same memory) that there was a saddle shoe of the late 1950s that was called a “bubble shoe.” Any support for that memory. It was a slimmer profile saddle shoe – thin sole, not as boxy a toe, not as substantial looking. I haven’t found a better source for vintage style Saddle oxfords than Muffys. I remember all the cheerleaders in the 70’s at the several various high schools in my area where I grew up wearing color-coordinated saddle oxfords in schools colors, no matter what those colors were. One school had green and whites, ours had red and whites, another had blue and beige to go with their blue and gold. I don’t recall all the different color combinations of all the schools ~ just that everyone seemed to be able to come up with what they needed! Muffys even has pink and white! 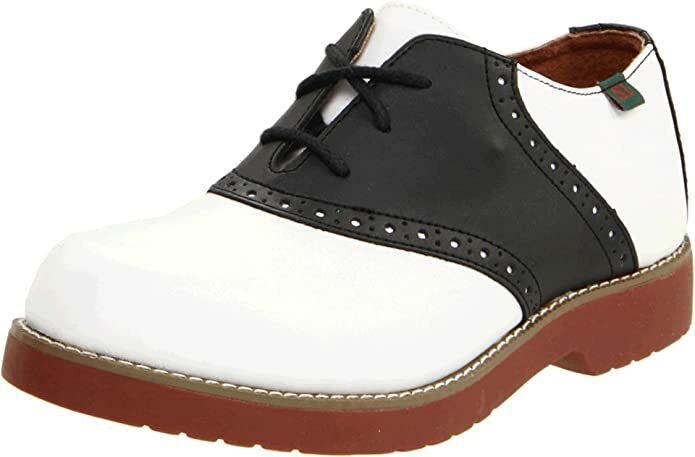 My personal favorite is the navy blue and beige saddle oxfords, and one of these days I’m still going to have some! Blue and beige was what I had. I sooo wish I could find them again.